At Southlea farm, on the road to Old Windsor from Datchet, a prehistoric settlement site was identified from aerial photos taken in the 1950s. 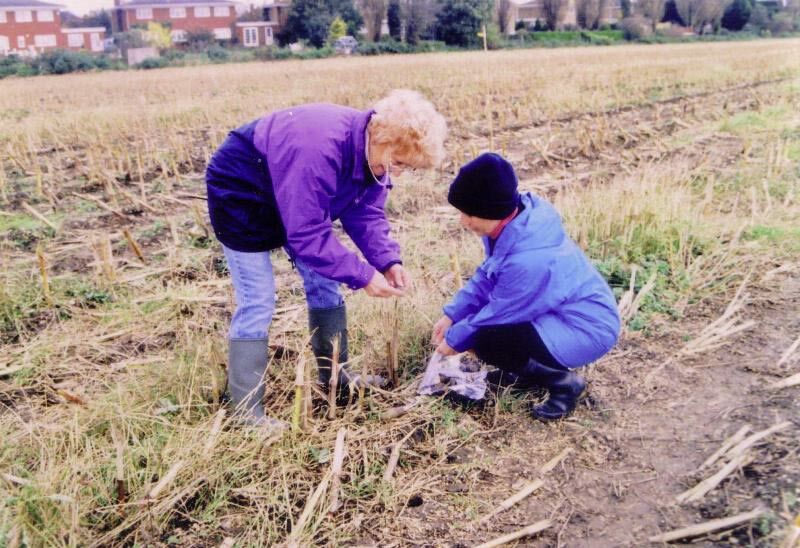 In 1996 group from Datchet Village Society embarked on fieldwalking the site – with unusually rich results. Finds indicated a multi-period settlement from the Neolithic to Romano-British periods. Professional help and advice was funded by a Heritage Lottery grant which paid for contour and magnetometer surveys and for the assessment of finds. A full archaeological report was written in two volumes, and also a short report intended for the non-specialist. The project was also the subject of the Berkshire Archaeological Journal in 2010, Volume 79. An exhibition of finds can now be seen at Datchet Library; currently a selection of prehistoric pottery. A new leaflet about the site and project is available at the Library and here.